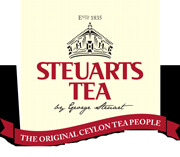 This is an exclusive section for the Tea fanatics who wants something better than the norm. These are truly the exquisite items in our range and truly loved by the lucky few. VIP Range There are 4 products. 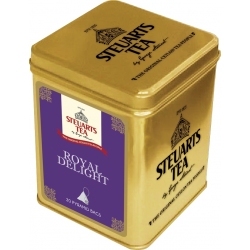 Royal Delight is a unique flavour from Steuarts Tea and it truly does live up to its name. 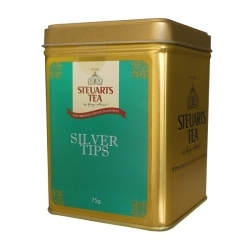 With Black Tea, Grapes, Apple, Marigold, Rose Petal & Blue Mallow.Please Note: Tin is not included. Chai Black Tea is Black Tea with Cardamom, Cinnamon, Cloves, Ginger & Peper, it truly is a treat for a tea lover. 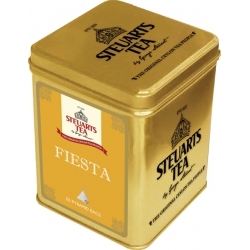 Fiesta is a Black Tea fusion product with Clove Cut, Cinnamon Cut, Orange Peel Cut, Marigold & Corn Flower. It truly is a fiesta in every sip.